A summer trip to the beautiful town of Zakopane, in Poland, is essential to enjoy the quiet charm of the place. It is quaint and peaceful without the tourist crowds of winters. The town of Zakopane has got it all! There are tonnes of wonderful wooden mountain villas and manors dating back to the 19th century. 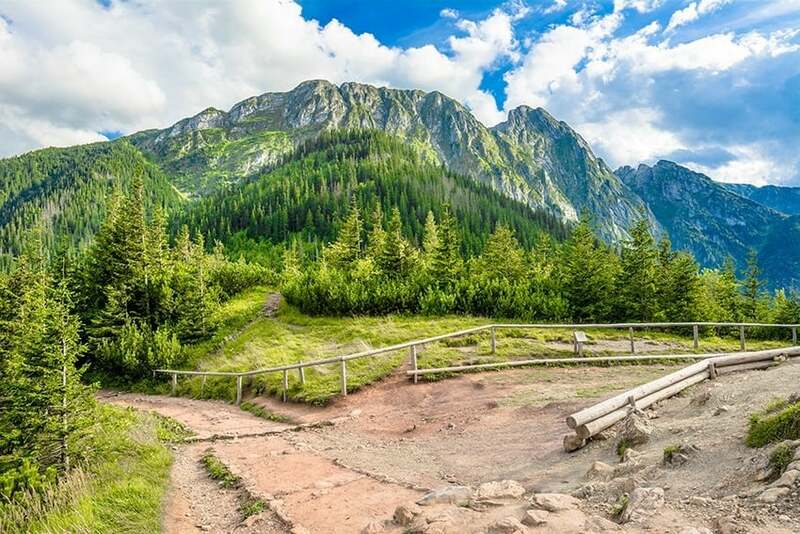 There are many wonderful walking trails and hikes from the town as well, which allow for the beautiful views of the majestic Tatra mountains. This is the place where you will spend an amazing summer holiday for sure! Now, let’s find out what are the best things to do in Zakopane in summer. Zakopane is a small and beautiful resort town located at the base of Tatry Mountains in Southern Poland the highest part of the majestic Carpathian Range of Central/Eastern Europe. 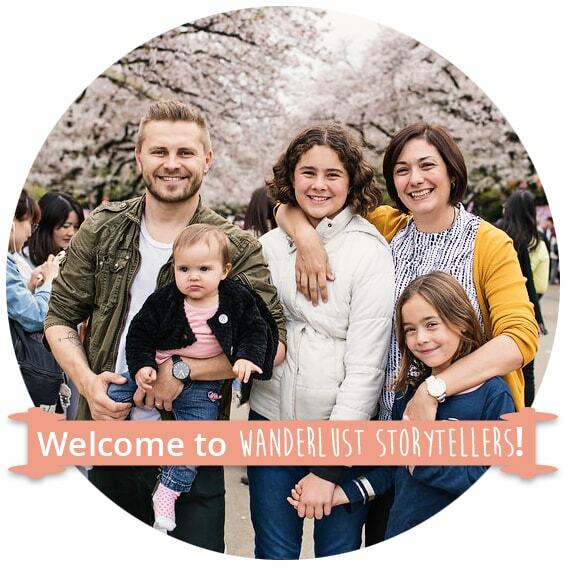 The town is situated in a perfect location for both winter skiing season and of course for the summer mountain relaxation and hiking getaways. Below you will find a list of the best places to visit in Zakopane, Poland, during the beautiful warmer months. 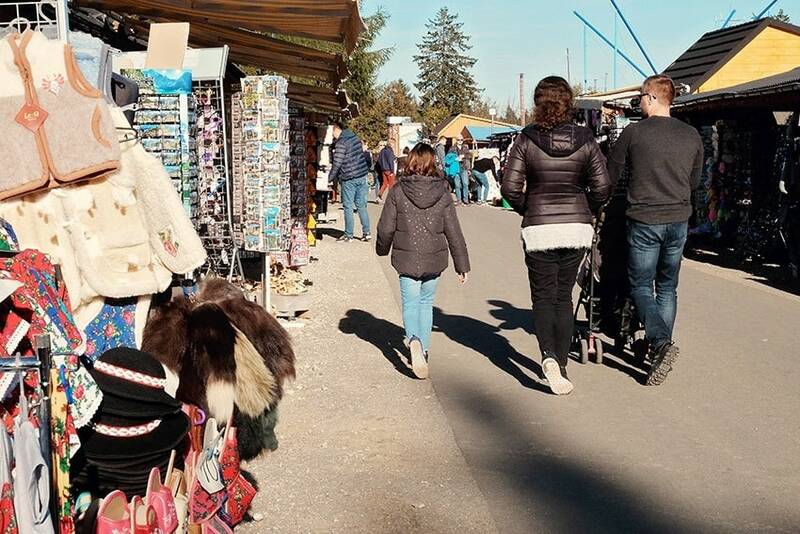 The streets are filled with stalls selling local Polish dishes and many souvenir shops. The scenic beauty of the place is absolutely breathtaking, with beautiful surrounding houses. Moreover, you can even catch some of the local highland music in the evening Kapela Góralska. 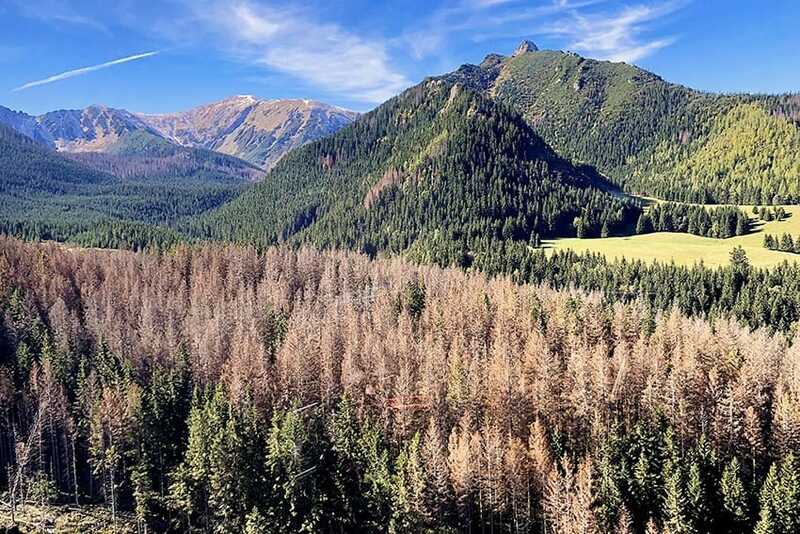 If you are wondering what to do in Zakopane in summer that will leave a lasting pleasant memory, there are two unique things you should not miss. 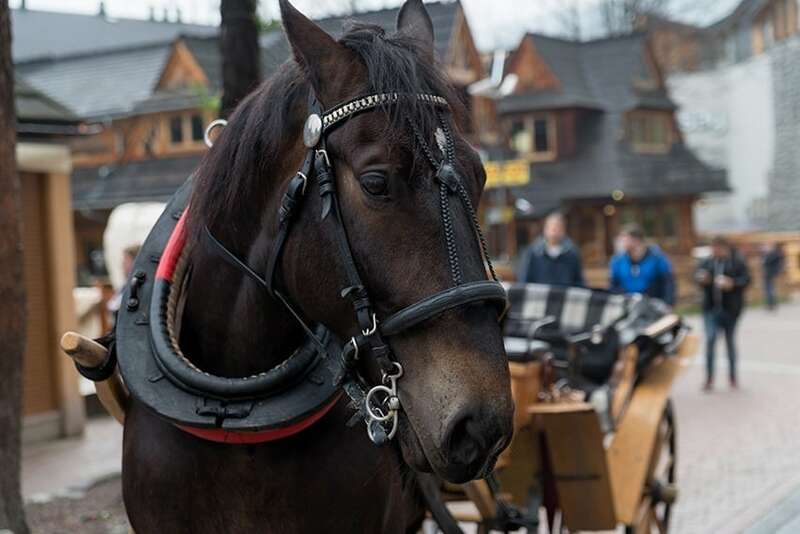 Holidays to Zakopane are not complete without a horse and carriage ride. You can enjoy the carriage rides from the street to the town’s outskirts or in the Tatra National Park. 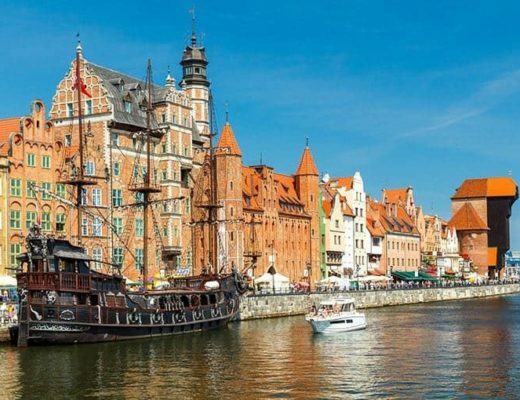 It is one of the must-have experiences in Poland; be sure not to miss it! There are many wonderful places to eat, with several traditional restaurants having waiters in traditional Tatra clothes and big open grills. Some of the unique local cuisines can be found nowhere else in Poland. From fresh trout delicacies, a variety of grilled meats, the tasty Pierogi dumplings, Kwaśnica soup, Naleśniki rolls, and Pierniki cookies. So many dishes and treat to try! This mountain is a very popular ski spot and the breathtaking view from its summit is unparalleled. You can easily reach the summit with the cable car, which is one of the oldest in Europe. The scenic route up to the top is truly a sight to behold. There are a lot of great tracks for walking and taking in the wonderful sights. You can even watch the wonderful Hala Gasienicowa or the observatory from your cable car. The mountaintop has several souvenir and food shops, and wonderful observation decks to bask in the glorious view. 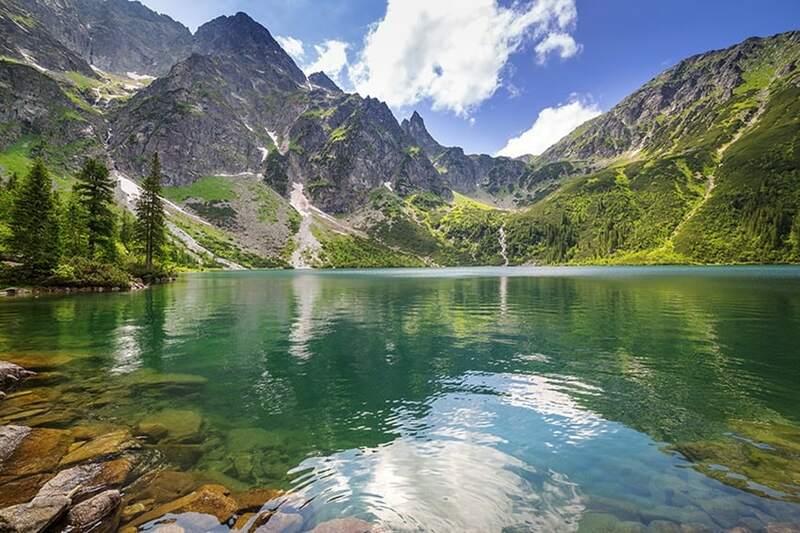 The beautiful lake of Morskie Oko is the largest lake in the Tatras, and offers a wonderful experience. The lake has inspired many artists and once you see it, you will understand why. Often called “fish lake”, you can easily spot the fish in the perfectly clear waters. 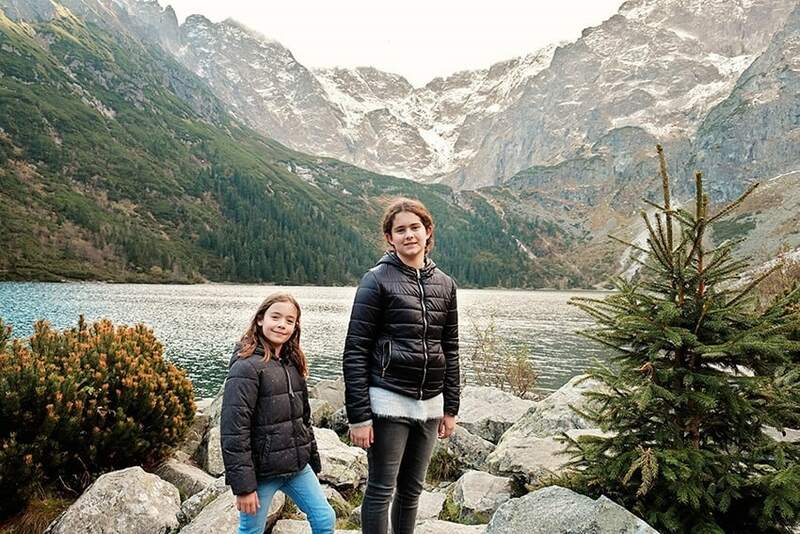 The 8 km (5 miles) hike from Palenica Bialczanska to Morskie Oko will take you around 1.5-2 hours to one way. Although it is a fairly long walk, it is classed as an easy walk. The walking track winds up the mountain at not a very steep incline. The road is pretty smooth and it is good for baby-strollers as well. If you choose to go on a horse cart, the trip will take you about 40 minutes up and around 20 minutes return. The cost per person may vary slightly between one way or return, so please check with the driver, before hopping on. Please note, the horse cart ride doesn't go all the way up and you will still need to walk part of the way to get to the lake. As you make your way up the trail, make sure to keep your eyes open and your camera ready to take photos of spectacular views. One of the points of interest for you should include Mickiewicz's Falls. You will need a minute or two here to absorb the beautiful mountain scenery. Try to head out to the lake on a beautiful sunny day. Whilst we had good weather on the hike, it quickly turned cloudy and you really need the sun to get the pop of color on the water. 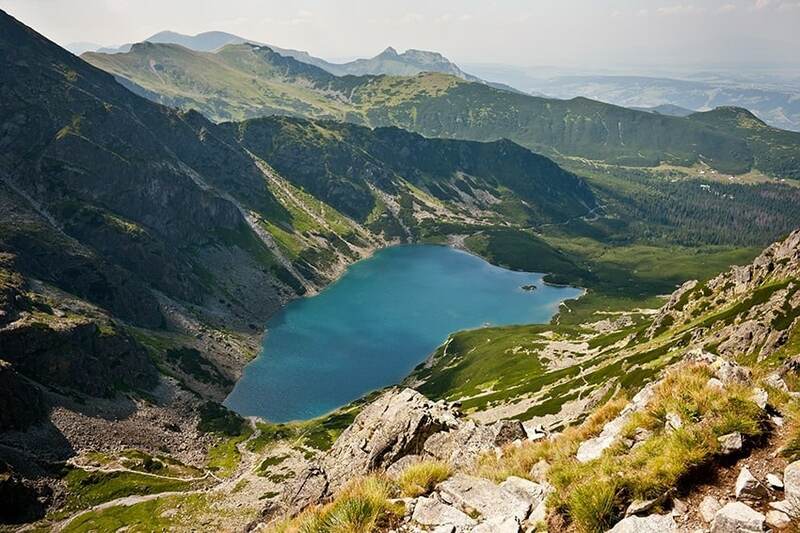 Further up from Morskie Oko is Czarny Staw, which means Black Pond. 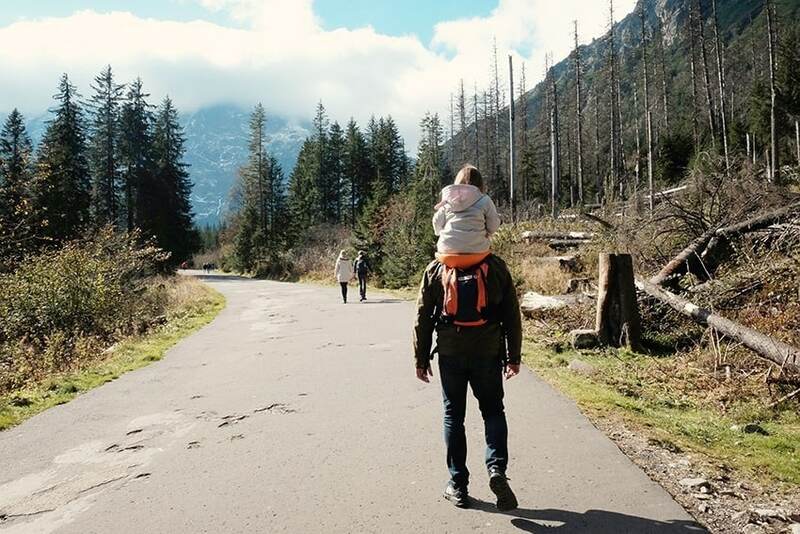 This hike is more strenuous and does not have a paved road – so make sure to take a baby carrier with you, if you wish to tackle this bit of the hike with your baby. Despite that, it is a wonderful experience! The surrounding pine trees and the views make it a hike to remember. Once you reach the pond, you’ll find that it is pretty isolated and beautiful, perfect for relaxing and leaving behind all the worries of the world. 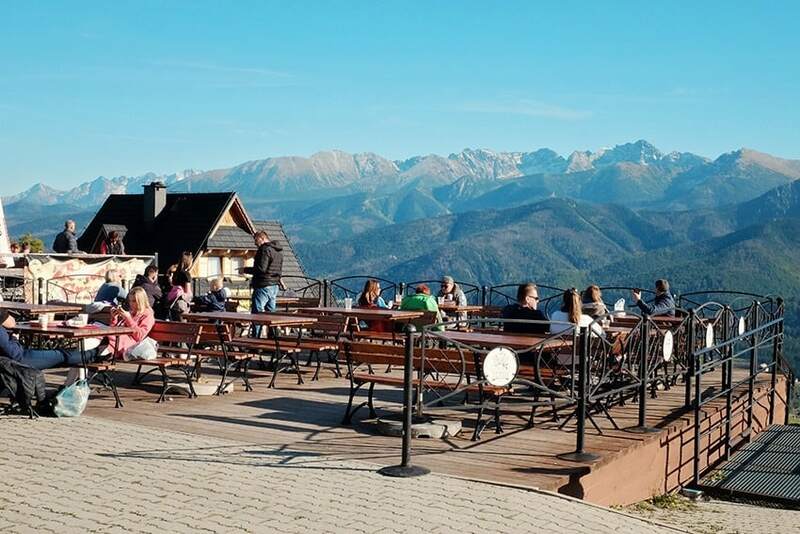 The mountain overlooks the town of Zakopane and has some of the most amazing views of the surroundings. You can truly take in enchanting vistas from the mountain peak. The sunset and night views from the mountain are truly wondrous. You can take a Funicular to the top of Gubałowka mountain and enjoy a nice walk around the summit. There are a lot of food and souvenir shops at the top for a hearty Polish meal. The tickets for the Gubalowka Cable Railway will sting you from 14 PLN (around $4 USD) for one way, or 22 PLN (approx $6 USD) for a return ticket. Children under 4 years old can travel for free and there are no additional fees for prams or pushchairs as well. 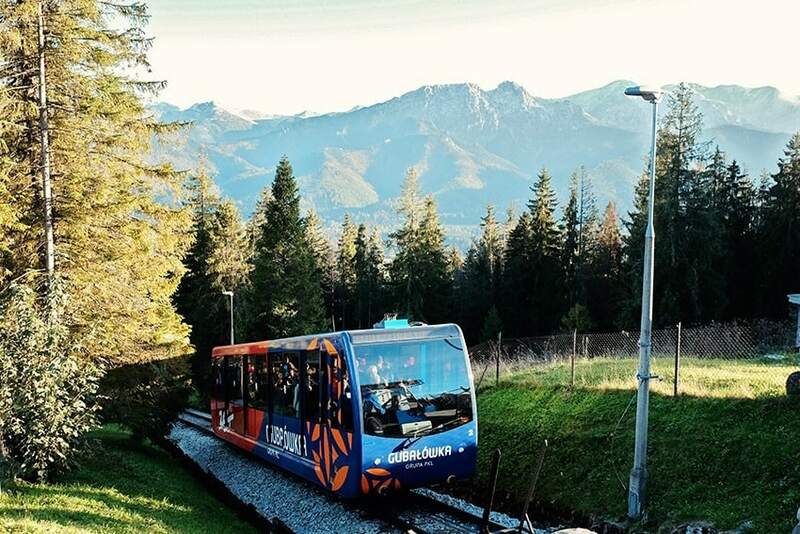 The ride takes about 3.5 minutes, and it covers around 1298 meters whilst climbing 300 meters up to the top of Zakopane for more fun family-friendly activities! Some of the best summer fun activities at the top of Gubalowka include the famous Gravitational Slide (Tobogganing) and the Rope Line Adventure Park. 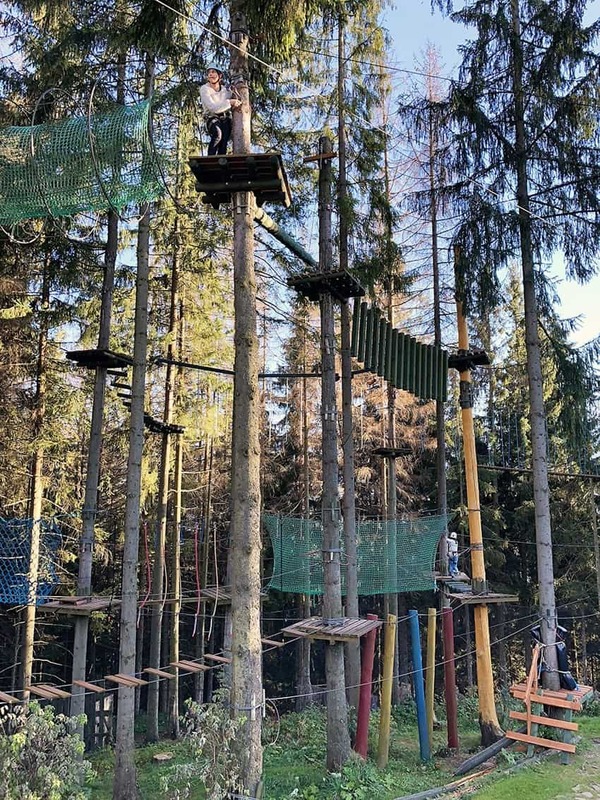 Here is where both, young and older kids can challenge themselves to new heights, whilst giving you a bit of a break too! 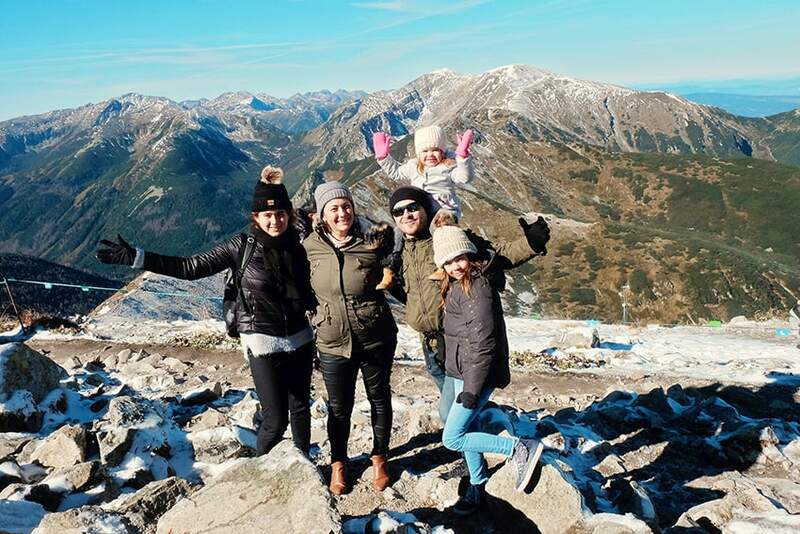 If you are travelling with kids, this list of things to do in Zakopane that is specifically geared towards families and kids will be for you! Mt. Giewont is one of the most popular summer hiking spots. And, when you feel the chilly winds under the warm summer sun, it makes for a truly wonderful experience. The hike is not easy, but the view is totally worth it. Some parts of the hike are through rope-climbing. The massif consists of three peaks- Small, Great and Long Giewont. 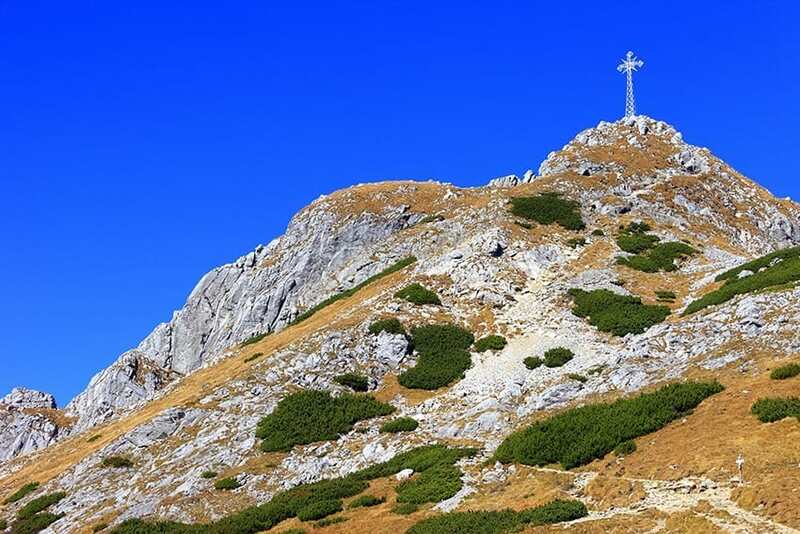 The Great Giewont is also a religious site for pilgrims. On its summit, there is a 15-meter steel cross from 1901. In Polish Folklore, Giewont is a sleeping knight who will awaken if Poland is ever in danger. The mountain is a symbol of Polish identity and spirit. You can see the resemblance to the knight in its silhouette. A trip to Zakopane would not be complete if you don’t experience the wonderful Oscypek cheese. Oscypek or Oszczypek is a smoked cheese made from salted sheep’s milk. Cow’s milk is also added to it as indicated by the protected recipe. It is exclusively manufactured in the Tatra Mountain region of Poland. 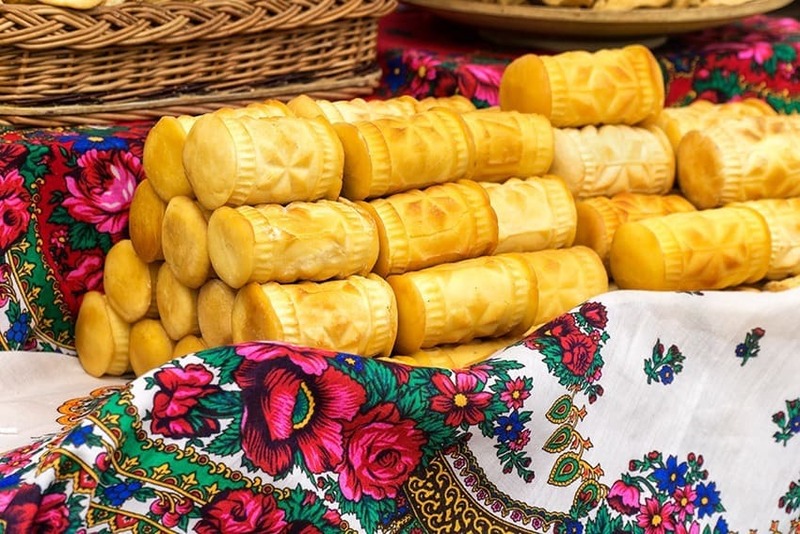 We really loved both the traditional sheet as well as the goats Oscypek that is used for grilling purposes – add a bit of jam and you will be in food heaven! There are a lot of wonderful museums in Zakopane to experience the history of Poland and the unique culture of the Tatra mountains. 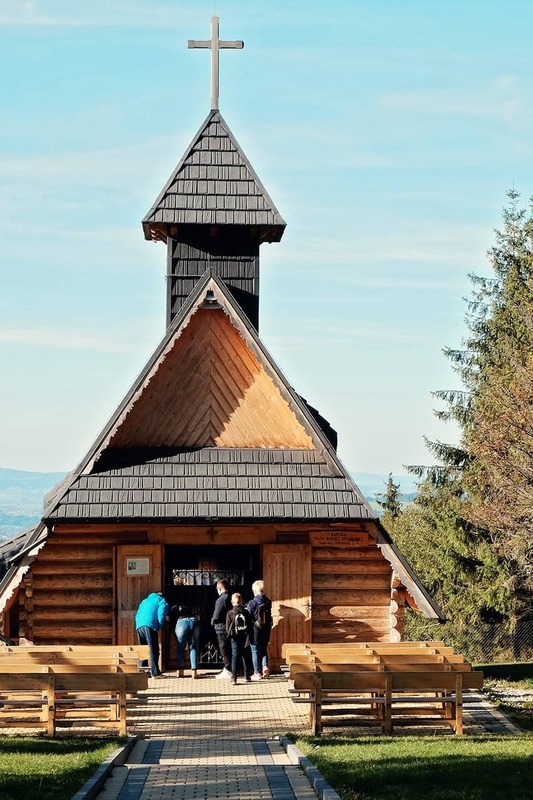 And if you are interested more in the traditional highlander culture and architecture, than you will love checking out the amazing wooden churches. These are filled to the brim with regional character and unique charm. A lot of adventure sports are present near the town as well, such as rafting on Dunajec river, various hikes, mountain gliding, and gravitational slide are some of the most popular summer things you can do in Zakopane. Tip: If you would like to check out the beautiful countryside of Zakopane, take a ride on Gubalowka and go Water Rafting on Dunajec, you can go on this Dunajec River Gorge and Zakopane full day trip from Zakopane if you like. 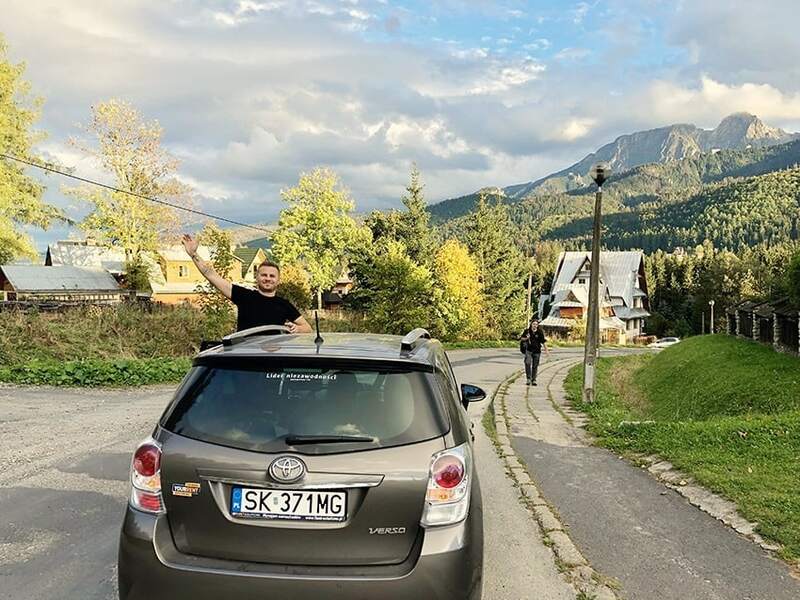 Zakopane is located about 2 to 2.5 hours drive South from Krakow and there are a number of ways to get there, including taking a public transport such as a bus or a train ride. Alternatively, you can choose to drive there directly or take a day tour. We always choose to drive for ourselves and this is, in our opinion, the best way to get to Zakopane. This way you can enjoy the amazing highlander drive and check out the surrounding towns on the way. Our preferred car rental place is Auto Europe. Here you can quickly compare car rental prices across all the major brands like Hertz, Avis, and Europcar. Click to see prices for car rentals. This is a great way of getting to Zakopane, if you are on a budget, but still, want to check out the road on the way. Once in Zakopane, there are buses available to move around between the attractions as well. This is the least expensive way to travel and you will still get from Krakow to Zakopane within 2.5 hours. 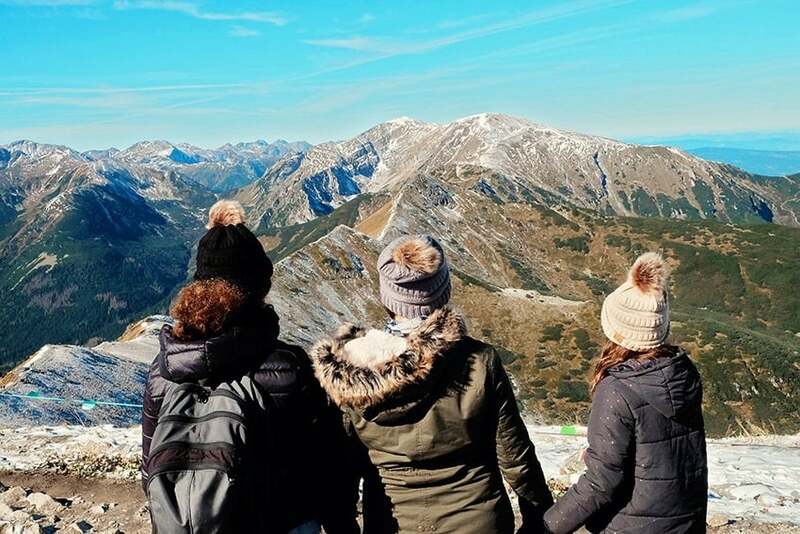 Alternatively, you might prefer to simply book an affordable visit Zakopane on a day trip from Krakow tour and chill out whilst the tour guide does all the work. Sounds good? I know it does! 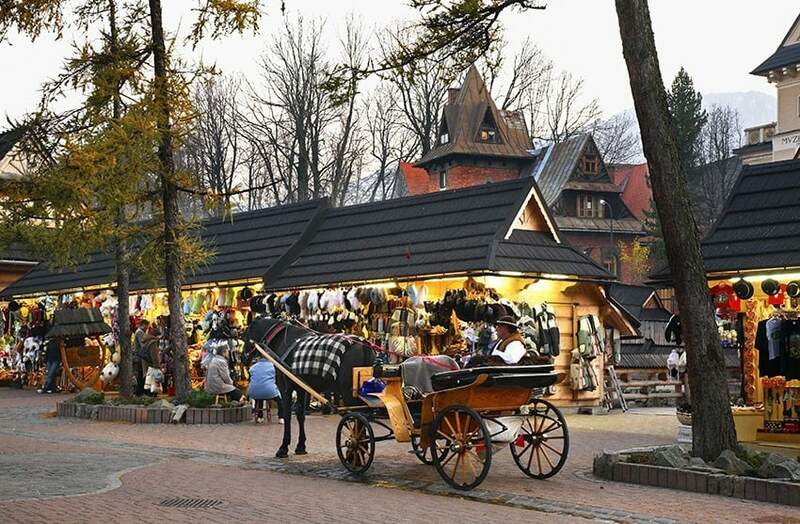 A holiday in Zakopane is an experience you will remember forever! It is just this kind of place, filled with fun, relaxation, generous highlander culture and spectacular scenery! We loved it and we hope that you will enjoy Zakopane just as much as we did! 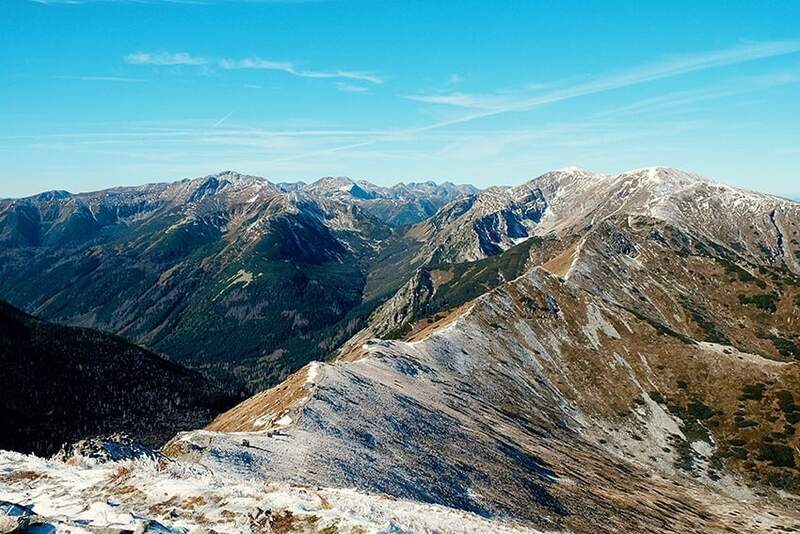 There you have it; our list of the best things to do in Zakopane, Poland. So, when are you planning to visit? Which of the attractions caught your eye the most? Disclaimer: Thanks to Made in Zakopane and PKL Kasprowy Wierch for organizing our tickets for both Kasrpowy Wierch and Gubalowka Cable Railway.